Probably the silliest moment while at my parent’s house was when I encountered this lovely kitty. I stepped out back to snap a photo or two and there he was, resting on the back patio. This is a camera shy cat. Seriously. He saw me, came over and greeted me, then he heard the camera shutter click and decided to leave. Over the fence, and then turned his back on me. Twitched his ears when he heard that click again, and gave me “the look”. 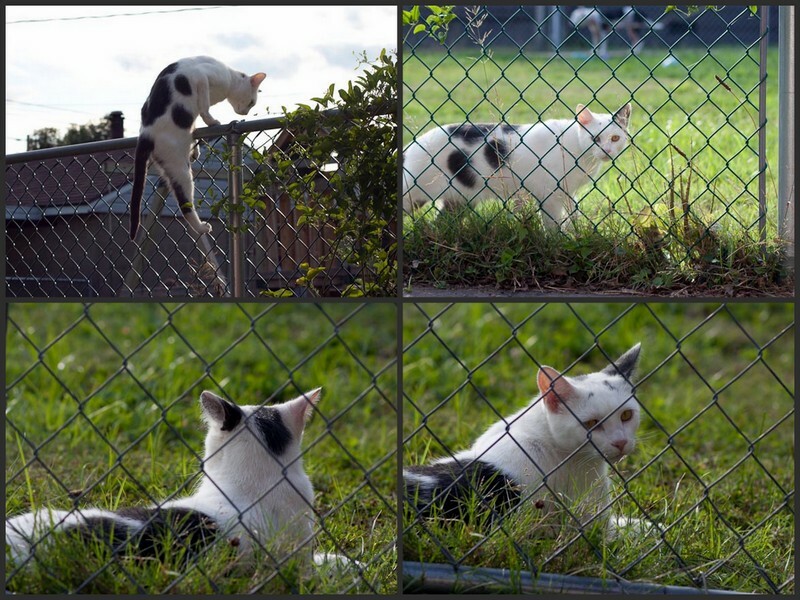 Does he really think a fence is going to stop me? Funny cat! Great title for this series. Love your new header photo of the row of mailboxes. Cats are so cool! Lovely photos!